Posts tagged "Free flu jab"
There has been a rise in the number of flu cases in the local area, therefore we are urging patients living in South Cheshire and Vale Royal that it is not too late to get their flu vaccination. Latest reports from Public Health England show that flu is now circulating in the local area and a small but growing number of cases have been confirmed by Leighton Hospital in Crewe. A flu vaccine is available free of charge for anyone over the age of 65, pregnant women, those with a serious long-term health condition, those living in a long-stay residential care home, and those who receive a carer’s allowance/are the main carer for an elderly or disabled person. 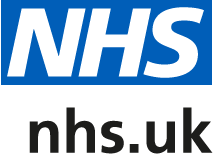 If you are eligible for the flu vaccine on the NHS, contact your GP Practice now to book.